Online businesses understand that timing can mean everything in the world of supply chain management. Since same-day shipping is quickly becoming the new norm for many e-commerce retailers, these companies are now starting to appreciate the value of effective supply chain management solutions and their significant role in effectively sustaining their operations and constantly ensuring customer satisfaction. If you’re looking for ways to enhance your retail supply chain management, consider looking into integrating real-time data in your current provisions. With real-time visibility, your business can be completely transformed, giving you more insight and the specific details you need to operate faster, and more accurately and effectively than before. The integration of real-time information can enable you to take a magnified look at your business operations and swiftly recognize any possible deficits and issues before they become full-blown problems that can affect your sales and profits. Immediate identification of inefficiencies and issues. Transparency within the retail supply chain permits businesses to quickly find and pinpoint inefficiencies. Because of this, they can come up with and implement the most suitable solutions in real time, not after the issue has escalated and turned into full-scale problems. Respond and resolve problems rapidly. Once you have transparent visibility into potential delays, slowdowns, and trends, you can respond to address these issues before they become catastrophic and affect both customer satisfaction and your business’s bottom line. Improved long-term processes. Real-time analysis will help you gain the insights you need to make the necessary improvements in your supply chain’s operations. This process will help you identify short-term shortages and also provide you information regarding possible long-term problems such as seasonal hiring and shipping issues. Better customer service. 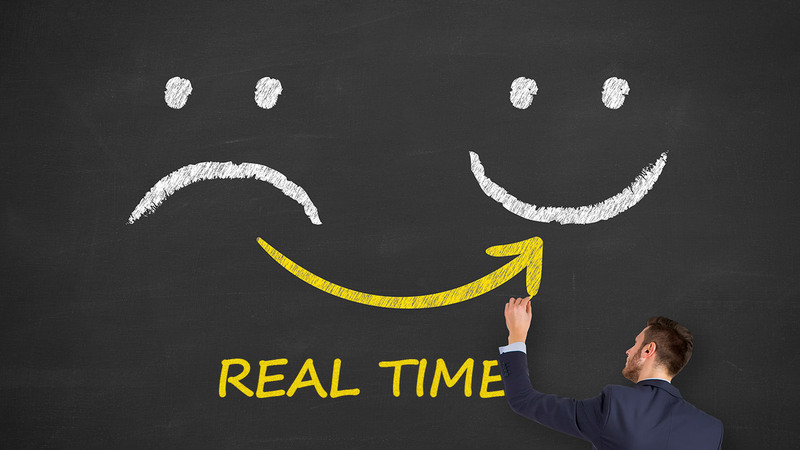 When you have access to real-time supply chain information, your business is in a good position to provide customers with status updates on their orders or shipments, so their expectations are in line with reality. Real Time monitoring. Instead of reviewing your supply chain on a monthly or quarterly basis, you can do this anytime and all the time. This allows you to make immediate adjustments necessary for your business’s operations and stability and drastically shortens and steepens your supply chain improvement curve. By integrating real time information from your operations and those of your trading partners into your supply chain, you are able to determine new ways of improving current practices. In addition, you gain foresight into potential problems that could derail production, logistics, and conflict with customer expectations. And that is critical. Today’s consumer is radically different from the traditional consumer of just a decade ago. Consumer expectations are much higher and their product choices are wider and much more accessible. Customers are now publishers. They can share their customer experience, good or bad, with the entire world, shaping your brand before the eyes of other consumers. Customer service therefore, should be a vital concern of every company. Investing in technology that supports real time data-sharing among all trading partners in the end-to-end supply chain is one of the best ways to make fundamental improvements that drive real returns in efficiencies and ultimately customer satisfaction. And we know how that is in today’s demanding business environment. Sarah Miller is a business consultant and a writer. Sarah specializes in business research, marketing, sales, with the goal of improving business performance. She shares her passion of business management through her writing.